Everyone loves a warm slice of pie with a dollop of freshly whipped cream, but why not leap outside the pie this Christmas and surprise your guests with some out of the ordinary, unique holiday desserts. No matter how much ham and potatoes you and your family manage to eat at dinnertime, everyone knows that there’s always room for dessert. For those guests wishing to cleanse their palates from those rich and filling entrees, offer a classic winter fruit salad, using in-season, crisp and zesty fruits. Slice some Bartlett pears, honeycrisp apples, red grapes, and some dried and fresh stone fruit like pears and apricots. Add some lemon zest and juice, a dash of maple syrup, a handful of chopped pecans or walnuts, and a sprinkle of cinnamon on top. This fresh, light option will please your guests, and help settle their full stomach. Or, you can try a delicious fruit crisp. Another light, healthier option, this fruity bake contributes just enough sweet to satisfy your the family’s dessert cravings. Sprinkle chopped pecans and cinnamon-rubbed buttery breadcrumbs in between layers of phyllo dough. Paint the crust with more butter to ensure a super crunchy crust. 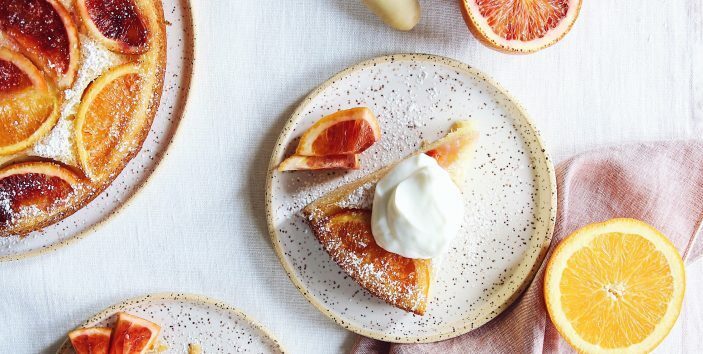 This simple but elegant tart can be topped with thinly sliced citrus fruit, pears, apples, quince, or a combination of all three. A perfect option for a lighter dessert, for when you just can’t say no to that little fixing of sweet at the end of the meal. For a unique twist on a classic Christmas dessert, top a typical spice cake with a creamy, ginger glazed brown butter frosting. Mix butter, cream cheese, ground ginger, and brown sugar to create a thick, golden brown frosting for your cake. Top with crumbled pecans and walnuts for a little extra crunch. Take your own spin on everyone’s favorite part of the Christmas meal, turning traditional staples into unique, personalized desserts. Contact Paul Evans catering at (516) 889-4101, or at Evan@paulevanscatering.com for a little help this holiday season.